Brand new to the Nuvo range are six unique Hybrid Inks. These pads are ideal for stamping and can be used with both water-based and alcohol pens. The high quality felt pad contains highly pigmented colours giving you a perfect image every time. These permanent fast drying inks are waterproof and smudge proof, making them ideal for colouring with the Nuvo Alcohol Marker Pens. For a multimedia effect, you can also heat set stamped images onto glossy surfaces and fabrics. 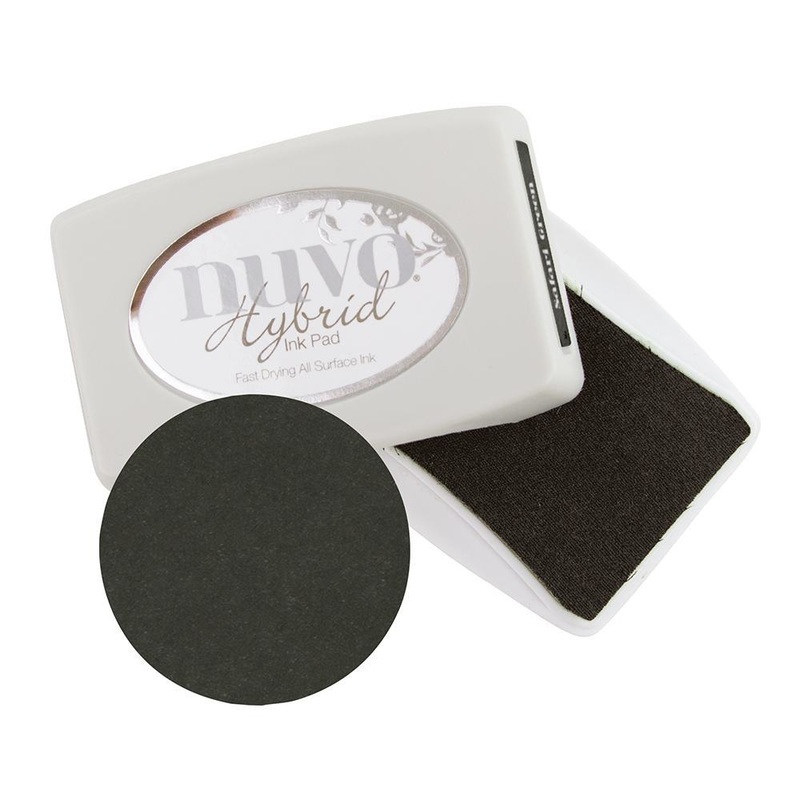 This large individual ink pad comes in Black Shadow - a versatile and staple shade in your ink collection . Look out for other colours in the Nuvo Hybrid Ink Pad range.